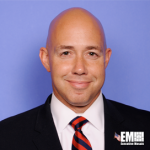 Rep. Brian Mast, R-Fla., has emerged as one of the potential frontrunners to succeed David Shulkin as secretary of the Department of Veterans Affairs, the Associated Press reported Thursday. The Trump administration has begun to consider other candidates after Navy Rear Adm. Ronny Jackson, the White House physician, decided to withdraw his name from consideration for the VA secretary post. Mast is a 12-year U.S. Army veteran who served as a bomb disposal expert under the Joint Special Operations Command during his deployment to Afghanistan. His assignment in the Middle Eastern country resulted in the amputation of his legs due to an improvised explosive device. He provided expert advice to the National Nuclear Security Administration and worked at the Department of Homeland Security as an explosive specialist. He is a member of the House Foreign Affairs and Transportation and Infrastructure Committees.